For several years now, Betty and I have discussed the pro and cons of moving to private treaty selling our sale heifers. We have made the decision, and will be offering our sale heifers on the farm. It would be our pleasure to showcase these leading ladies to you. Pictures, performance and pedigree information is posted here on our web site. As in the past, our heifers have been developed on pasture. The rational grazing system we have developed over the years has certainly suited these young ladies. They are not shy about letting us know when it comes time to move to their next pasture. 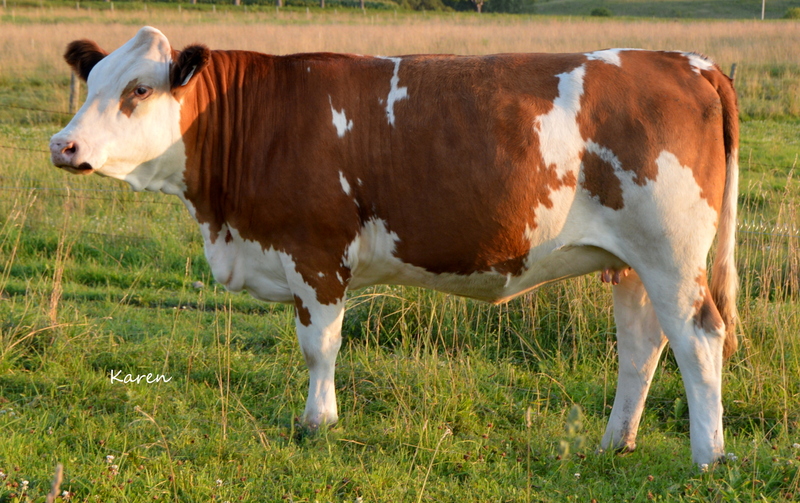 We believe that our 2013 heifer group is one of the strongest set of heifers we have produced here at Dora Lee. 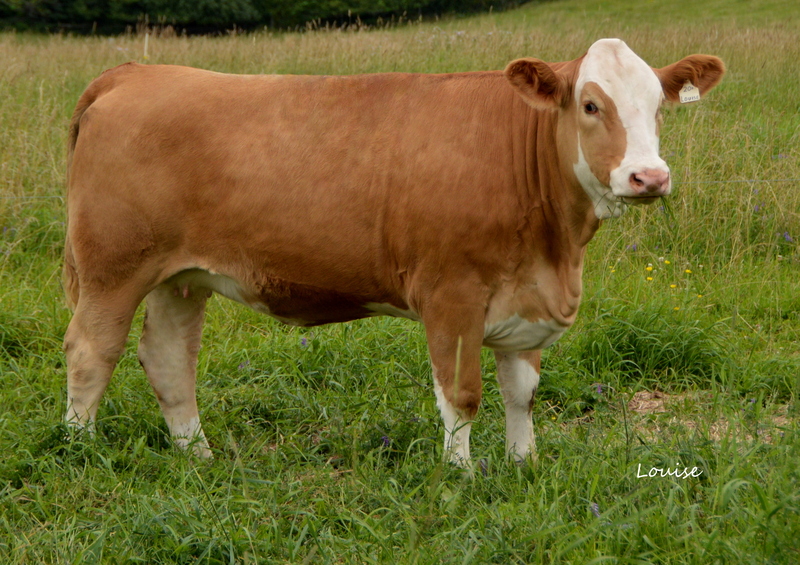 The only heifer we have marketed from this group, Dora Lee’s Tasha 98Z, sold last fall to Jeff Knox, Australia, where she was the high seller as part of our Fleckvieh Forum sale. Our heifers have all been vaccinated with Bovi-shield Gold FP5L. They are bred AI to proven calving ease sires with no exposure. All our heifers are polled and we do have a genomic profile on each individual. Lindy’s dam gets it done every year and has another exceptional heifer calf at side this year. 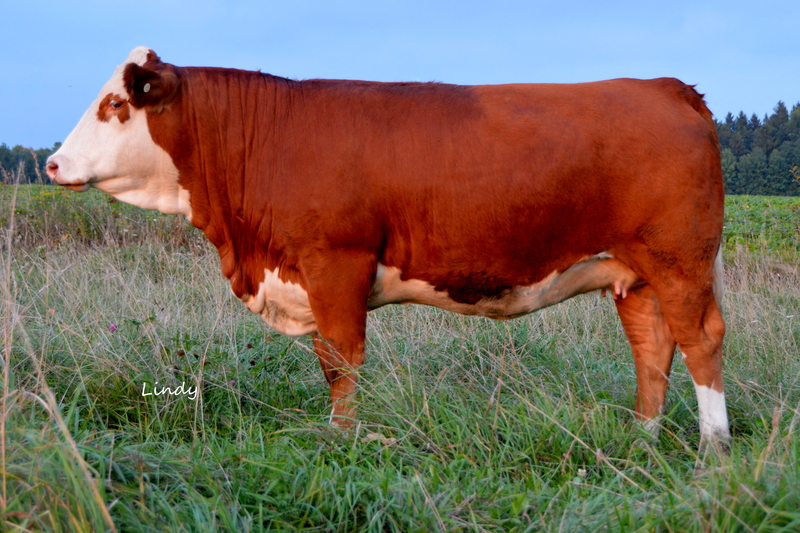 Lindy is bred to the legendary bull Sir Arnold’s Image, who is ranked right at the very top for calving ease and also ranked at the top for maternal calving ease. We are of the opinion that Lindy will go to work for her new owner and produce those top end males & females for many years to come. Louise has maternal sisters at work in Saskatchewan, Alberta, North Dakota and here in Ontario. Louise’s grandmother (SRN MS Western 2Y) was a foundation female with a heifer calf at side that we purchased from Keith Bloder in summer of 1991. Little did we know back then just what an impact she would have on our herd going forward. MS Western went on to produce until she was 16 with 14 natural calves. There is no doubt in my mind what so ever, that Louise like her mother and grandmother will be there and get it done for her new owner for the long haul. This young lady would add outcross genetics, depth of pedigree, femininity and 7 Dora Lee matings in her make up to your herd. ” Opportunity Knocks”.